Jk Monarch's New Construction MOVE-IN READY home in Valley Meadows. 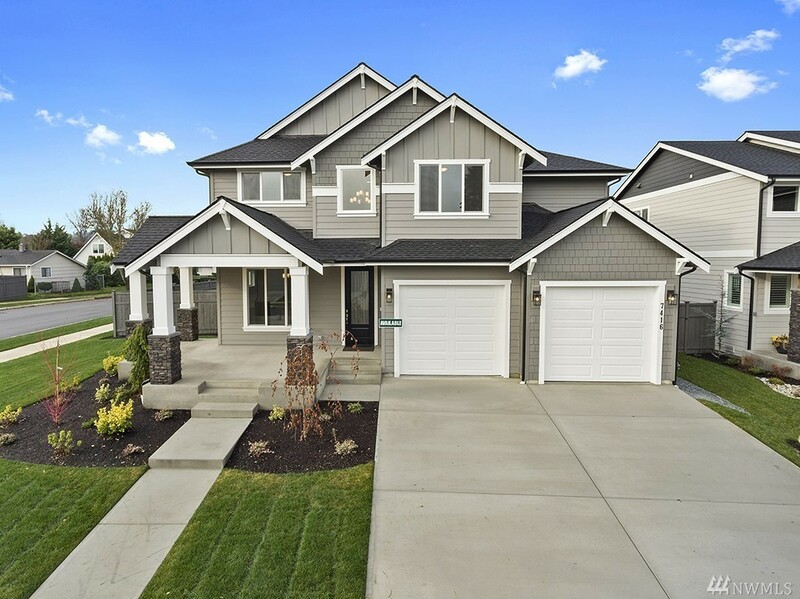 A spacious 3170 sq ft 2 story home on corner lot features an open concept. Formal dining, Butler pantry, and bedroom with full bath on main floor. Kitchen has Quartz counter tops, center island, Stainless Steel appliances. Master suite w/5 pc bath. Window blinds to be included. View of Mt Rainier upstairs. 2 Car garage. Large wrap around front porch. Fully fenced back yard. Sumner schools, Sounder Train nearby. Close to HWY's.